I’ve got a new short story out! 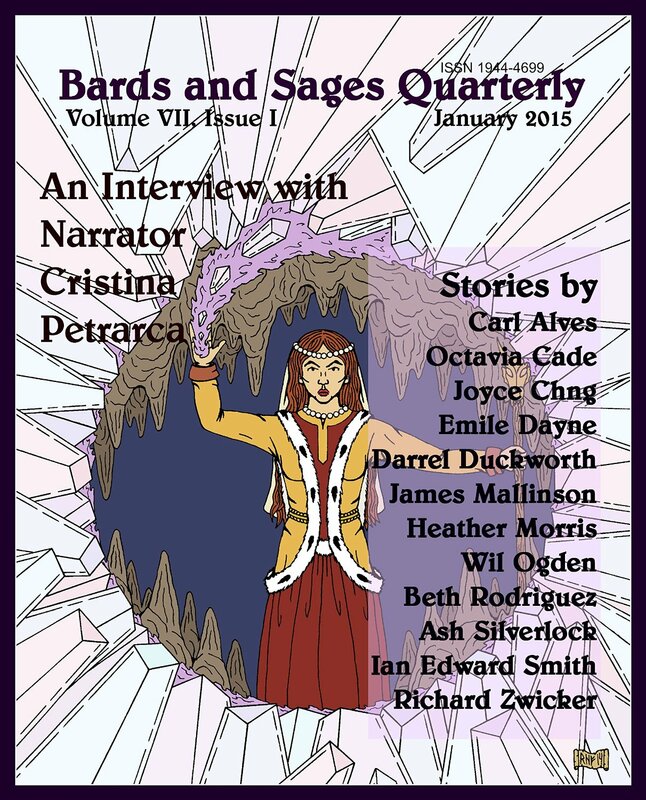 The first of the year, it’s published in Bards and Sages Quarterly. “Palimpsest” is a story about the mythological gorgon Medusa. I’ve always thought she got a bit of a rough go, myself. The myth has her as a perfectly normal girl at first, until the god of the sea, Poseidon, rapes her as she’s worshipping in Athena’s temple. Of course the gods all band together and she’s the one that’s punished for it. Presumably because Medusa has the bad taste to be a victim within her temple walls, Athena turns her into a snaky-haired monster. I don’t know which deity disgusts me more. Anyway, Palimpsest is something of a modern retelling, where Medusa gives the snakes to herself as a means of coming to terms with what happens to her – as a mark of survival, really. Medusa’s own snakes slid over her flesh, flickered their tongues at her temples, at the corner of her eyes. Soothing, solicitous, and on their breath was the faint scent of venom–a dry, burning scent like warm embers, and just dangerous enough to rouse.